If you like comicbooks and puzzles, you're in for a treat! 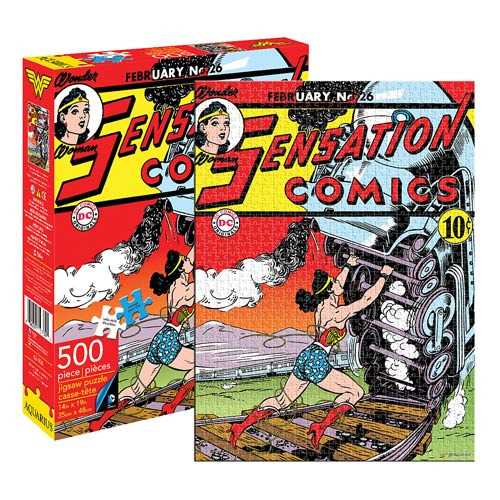 Stay busy for hours with DC Comic's sensational heroes. The Wonder Woman Comic Cover 500-Piece Puzzle measures 14-inches x 19-inches when completed. Ages 14 and up.